The new dietary study they’re referring to is this one. I think you are confusing several issues here. 1. Insulin is a fat storage hormone. Not directly. Insulin inhibits glycogenolysis and gluconeogenesis in the liver. So the liver is no longer making glucose as in the fasting state. Insulin supports glycogen synthesis (stores sugars as glycogen). Once glycogen is full, then liver starts process of De Novo Lipogenesis (DNL). This newly created fat has 3 possible metabolic fates. One, it can be oxidized for energy. In the presence of glucose and insulin this does not happen because there is plenty of sugar to be used for energy. Two, it can be exported out of the liver as VLDL. Third, it can be stored in the liver and create steatohepatitis (fatty liver). In other words fatty liver is created by excess carbs and insulin. This is similar to the process of making foie gras in geese - force feed high starch corn mash. It is precisely this fatty liver that leads to hepatic insulin resistance. This explanation of how this happens is a little more complicated. However, a good place to start is the Twin Cycles Hypothesis. This is not to be confused with the muscle insulin resistance. 2. Exercise only affects muscle insulin resistance not hepatic. It can indirectly reduce excess glucose by using it for energy, but the amount of exercise necessary is far greater than what most people do. Consider that you can eat 100 calories of carbs (2 cookies) in 2 minutes, but it would take almost 45 minutes of walking to burn it. 3. Fructose has an entirely different metabolic pathway. First, fructose is only metabolized in the liver. No other cell can use it. So fructose homes in on the liver like a guided missile. Since the work of metabolism cannot be spread to the other cells, any excess fructose affects the liver only. Excess fructose cannot be exported out to muscles or brain cells. It directly causes insulin resistance in the liver. This pathway has nothing to do with the glucose induced pathway of DNL. So sugar (glucose + fructose) creates fatty liver in two different ways. One as a highly refined carbohydrate, and two as an excess source of fructose. The consequence of this fatty liver is hepatic insulin resistance. The consequence of this insulin resistance is high insulin levels. He includes a few convincing papers about the inefficiency of this pathway in humans, even when obese individuals were examined. I would still like to see a similar study done on insulin resistant people though, but the general mantra about insulin shuttling sugar into fat cells seems to be misleading. To continue this line of thinking, the role of fructose in obesity appears to be further amplified. We got a very low denovo lipogenesis.. and thats bad for us. It seems that we only convert a few percent of carbs to fat.. at best! The bad about that is that we get hyperinsulinemia instead and then insulin resistance! Yes, good point, Zepp. All the more reason to keep dietary carbs low. I think the pathway to storing excess sugars as fats is more complex than what it has been laid out in the past. this is fine for a while but when fat is used less for fuel and sugar is used solely it tends to lead to weight gain. (could be that we store the fat we eat and not carbs, but the high carb in take is still the reason this happens). when people gain weight they try to lose weight by eating less and especially low fat high carb stuff which only makes the situation worse. so all of this then feeds on itself as a vicious negative feedback cycle. exercise can help by re-sensitising us to both glucose and kicking off fatty acid metabolism again assuming the exercise is appropriate (not slow steady cardio all of the time). Its the real reason to not eat more carbs then one use.. we have a very limited capasity to store carbs as glycogen! – Insulin is the fat storage hormone, but in a more direct way than it is usually applied. – Muscles do play a very important role in taking up glucose when running on carbs as the primary fuel. This way the "calories in = calories out" and "exercise more" dogmas are significantly more relevant in this special case which actually represents the majority of the population nowadays. – It kind of explains why (and how) very low fat diets might work. – The role of fructose (in moderation) must be further evaluated in connection with a low carb diet. Fructose seems to be converted into fat by the liver in bigger extent than glucose. There must be a limit in an average adult that still does not trigger adverse effects by putting too high pressure on the liver. Are fruits and honey a bit safer than what we believe (if glucose can still be kept low)? "The body responds with the hormone insulin, which converts the extra blood sugar into fatty acids stored in the body fat around our middles." Based on the papers linked by Andy Lord, adipose tissues have very limited capacity in taking up glucose from the blood stream even when somebody's muscles are probably insulin resistant. Of course, as usual, this article fails to mention the details of the study. The so-called low fat group was told to eat no more than 30% of their calories as fat. A "huge" step below their baseline of 35% of calories as fat. Where as the low carb group was told to lower their baseline carbs from 240 grams down to 40 grams or less. So essentially one group kept eating as they normally did while the other group made far greater cuts. While it is just a minor detail in the big picture, there are still some consequences which should be incorporated into our communication. Regarding fructose metabolism, there is again no discrepancy in our views. Of course it is way easier to adhere to a VLCHF diet than to a VLFHC. Energy restriction usually happens automatically with the former while it is a torture with the latter. This study has been discussed in another post. The study was designed around the goal of comparing the officially promoted "decrease fat to below 30 % and saturated fat to below 7 %" diet with a low carb diet. Even the low carb part failed, as participants ended up eating 2-3 times more than what was suggested. All this does not mean that no conclusions can be drawn. 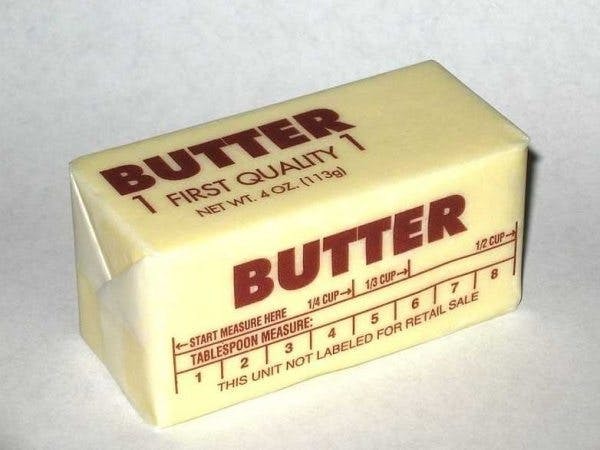 With a all too common group like that, would you still recommend more butter, meat, and fat? After all it is said to improve their health markers. If not, then which of the many diets would you recommend for such individuals, such that it might halt the progression of further narrowing? You might remember that I'm not a medical doctor, so I would recommend nothing. – How much sense reducing carbs could make. – How could he re-balance omega-3 to omega-6, glycine to methionine, etc. ratios. – What whole foods should he include in his diet and what supplements should still be added on top. Together with right food choices probably not more than fat soluble vitamins and maybe antioxidants. Regarding identifying the severity of his medical status and possible drug prescriptions I would certainly refer him to a specialist. With maybe one exception: statins. It's all over except for the 'was fat' lady to sing! I think HFLC has won. I can't keep track of all of the LCHF diets and doctors in the news. I'm mean articles quoting Drs. Volek and Westman, who promote the dangerous Atkins diet. Even the LCHF sports and movie stars are multiplying like crazy. Also the very pleasant, non-controversial Katie Couric creates the movie, Fed Up. Yes, there is a long way to go to get the majority of the medical profession to understand the benefits of LCHF. And even a longer way to go to get every day people to understand. The most difficult will be, I think, the vegans and vegetarians. Well, maybe the bakers and sugar companies will put up more of a fight. We'll see. Hi Erdoke - I see your point. Yes, we are on the same page here. Hepatic DNL would not begin until CHO > TEE since it is a pathway to store excess energy in the form of fat. Perhaps those low carb folks that argue sugar is stored as fat missed this point. I'm not quite sure I follow your reasoning about the different types of fuel. When you follow a Standard American Diet with high glucose, then yes, glucose is burned first. This is because insulin allows cells to uptake glucose for energy and all cells have that capability. In a high fat - let's say a ketogenic - diet, then there is no glucose available and cells burn fatty acid except the brain which burns ketone bodies. What does this have to do with fat storage or metabolic rates? Obesity is not determined directly by DNL, hepatic or otherwise. While hepatic DNL is the key process in hepatic insulin resistance and type 2 diabetes, it only indirectly affects obesity and fat storage. This is determined in the hypothalamic region of the brain where all the inputs (insulin, leptin) are computed and effector mechanisms put in place - such as increased appetite and hunger and/or decreased energy expenditure. I don't think that decreased fat storage is the result of reduced hepatic DNL. I think it is the result of lowered insulin effect at the hypothalamus. Maybe it is as Dr. Lustig believes - insulin blocks leptin at the arcuate nucleus. It seems to me that asking the wrong question will only very slowly lead us to the right answers, not to mention a good compromise between low fat and low carb parties. The right question should be something like this: Is there a marked difference in diet macronutrient compositions that makes one or some of them significantly more suitable for "the modern lifestyle"? Once more with the same question? My answer is still the same. I was in just that situation from 2005, then 59. I suffered "as soon as I moved" or even if I got a little excited, until December 2011. Then I took up a diet rich in just butter, meat and animal fats with close to zero carbs. Within one month I could walk again as if I never ever had had angina ! Totally amazing, and soon I did not renew my "Invalid parking ticket", as I did not need it any more. A year after my Apolipo-quotient was well below 0.7, or below normal risk for heart attack. A great feeling after numerous stoppages ending in near collapses somtimes combined with vomiting. No point measuring LDL and HDL ! But after all that I am just another anecdote that does not interest 'science' today, in essence probably due to who sponsors most of today's 'science'. Guess if I had reached the same with a high carb diet I would have made headlines as I would then be in phase with, or going with the grain. But that was my very diet before 2011, also with reduced food intake and plenty of exercise- as much as I could- during the last 6 worsening years with my condition. It eventually got so bad that I decided to try this outlandish LCHF. And it worked wonders for me. BTW I ditched all (7) medications within 4 months in 2005 as the side effects were driving me crazy. None of the medicins offered anything but symptom removal and long term side effects even on official pages. Nothing desirable long term. Today I could still lose a few pounds but 183 cm and 89 kgs is not too far off the mark, when basic health has returned, and I am fit again! Hi Erdoke - Yes, I assume you are speaking of Sam Feltham. Great fellow and great self-experiment. He interviewed me a while back. I agree that DNL is not a direct contributor to obesity but does contribute indirectly. My view is that hepatic DNL is the key to insulin resistance. I don't believe that calories cause obesity. I think insulin causes obesity. However, all foods raise insulin to some degree even if they don't raise blood glucose. This is the Insulin Index and where all the confusion with calories comes in. If all foods raise insulin, then all foods may be potentially fattening. The calorie people think its because of the calories, but I think it's because of the insulin. Dietary protein, especially dairy raises insulin almost as much as whole wheat bread. But carbohydrates are not the only stimulus to insulin. Proteins and fats also raise insulin. Insulin resistance also raises insulin. Hepatic DNL raises insulin resistance, as does fructose. That's where I believe the importance of DNL comes in. Like you, I don't believe that DNL is a big contributor to fat storage directly. Insulin levels, hunger, and food intake: an example of feedback loops in body weight regulation. states: "...high acute levels of insulin can be produced by simply seeing and thinking about food..."
? I'm not sure your point. That is the well known cephalic phase of insulin secretion. Even swishing a sugar solution in your mouth will cause insulin to go up. Other inputs to insulin include the incretin effect, insulin resistance, the co-ingestion of fat, vinegar and fibre. Even dietary fat causes insulin secretion. All of these factors influence insulin secretion. So, yes, there are multiple inputs to insulin, not only carbohydrates. That is where the Carbohydrate-Insulin Hypothesis goes off the tracks. Sten, I'm glad you are feeling so much better. I'm a little unclear as to what your diagnosis was back in 2005. What was it, and what tests were you given to confirm it at that time? Also what 7 meds were you on back then. That is quite a number of meds for anyone. Look, you take a hundred or a thousand people and I have no doubt that some will do better on certain programs. Its just that I've seen no studies taking a hundred or a couple hundred patients with typical coronary artery disease and following them for a few years while they eat a HFLC diet. I would say that with basic weight loss, many of their numbers will improve. What that might mean in the long term, I don't know regarding avoiding heart attacks or death. Again I don't know what 7 drugs you stopped. Often the drugs alone will make life miserable. Especially statins, for those who have serious side effects. BTW, those who get a larger portion of their calories from carbs, are not all eating the typical diet we see people consuming full of refined carbs. Having said all that, I have no doubt that given individuals may do better on one diet or the other. But groups of diagnosed heart patients would have to be very cautious to begin following a high fat diet. I'm open to any evidence that heart patients have, in group studies, been shown to have improved or halted progression of their disease. Anything is possible, I just have nothing to go on to agree that it would be wise for the average heart patient to follow. Again Wade you claim "groups of diagnosed heart patients would have to be very cautious to begin following a high fat diet." ...based on what evidence? So you DO have "studies taking a hundred or a couple hundred patients with typical coronary artery disease and following them for a few years while they eat a [HCLF] diet." ? Or just a couple of unrepeated trials, of arguably questionable nature on just a few individuals? In your own words... "Look, you take a hundred or a thousand people and I have no doubt that some will do better on certain programs." So by all means choose your own medicine but please don't presume as if a low fat (even < 10%) diet is somehow the default, or fall-back position in the face of your perceived lack of evidence to the contrary. I am not sure that the insulin response to different foods could be standardized in an index. It probably shows not only individual variation, but is very likely to be influenced by gut flora and other variables as well. On top of that measuring insulin instead of blood glucose, i.e. many times per day seems to be rather complicated. It's already been done. It's no different than measuring glycemic index, but using insulin instead of glucose response. There is a lot of individual variation in glycemic response as well. You simply measure lots of people and average things out. The insulin index is here. There are also lots of insulin response studies out of Scandinavia looking at milk and milk products. One of important features of a LC diet - people eat less volume of food less often because they are not as hungry as they would be on a low-fat diet (do you guys remember that the doctor who reported about miraculous results of his rice diet also whipped his clients who didn't comply with the diet? ), so insulin rises less often, and fasting insulin gets low. Thank you, it is really interesting, although it would be great to fully understand the underlying science. It seems that high fat, high protein and high fiber content foods have lower IS in general, so at least LCHF is not very contradictory. Beef and fish surprised me with their much higher than expected IS while dairy products were missing except for cheese. If my doctors had been half as interested as you are in why I got better I think we would live in a much better world. I cannot recall all 7 meds, but the key one - the one hardest to stop - was Nicorandil , a blood vessel expanding miracle medicin that makes angina sick patients feel as if the disease is nothing, until not taken any more! First day without is no problem, but 2nd day it was as if the blood vessels want to take back all earlier expansion in surrelal total and probably often killing contraction, from no effort at all. It took me 6 months tablet-breaking to get off that medication. The long term side effects listed were "unexplained ulcrations/ sudden death", real carrots to stop it, against doctors orders! I also had beta-blockers to drop blood pressure from 170+ right down to 120, all the time, no matter what I did,. Unreal, and very effective, for that. Statins, in prevention, I guess. A few more that I can't recall, plus nexium given to prevent unpleasant stomach acid escapes ffrom the total coktail, according to doctor. My diagnosis was failed stress test followed by confirming angiogram. "At least one stent" was the verdict from the cardiologist. Fortunately for me- in retrospect - I was at the time suffering from a bad eczema so the good doctor gave me 14 days with some serious skin medication to clear up that before stenting. But in that time I realized that stenting was a mere plumbing fix, doing nothing to clear the reasons for my sudden demise from up to then life long health, and then declined, against objections. I did smoke at the time and stopped later in 2006 as I felt it would possibly give me shorter episodes of pain/angina attacks. The night episodes did however get worse with time, and when the 20-30 minutes of pain were over I was usually freezing cold. I did find that D3 vitamin kept the night episodes away, but at the end of 2011 when they came back and I realized I had not forgotten to take 5,000 IU per day I gave up: Either the LCHF works or I have to get some night medication at least. Lucky for me the very high fat diet without blood sugar raising carbs worked wonders for me. So about 6 years later all suddenly changed, with LCHF. Later I read what William Davis put together, that plaque is caused by elevated blood sugar and regress with lower. Something that - in retrospect - fitted well with my own experience. I see no reason why saturated animal fat - the mosts stable or low oxidizing compound that we know - would have anyting to do with sticky plaque that usually relates to glycated proteins, or oxidized fats. If you have evidence au contraire, please post the links! I cannot recall all 7 meds, but the key one - or that one hardest to stop - was Nicorandil , a blood vessel expanding miracle medicin that makes angina sick patients feeling as if the disease is nothing, until one stop taking them! First day no problem, but 2nd day it is as if the blood vessels want to take back all earlier expansion in a surrelal total and probably often killing contraction. It took me 6 months tablet-breaking to get off that medication. The long term side effects listed were "unexplained ulcrations/ sudden death", a real carrot to stop! Then I got beta-blockers to drop blood pressure from 170+ right down to 120, all the time, no matter what I did,. Unreal, and very effective. Statins, in prevention, I guess. A few more that I can't recall, plus nexium given to prevent unpleasant stomach acid escapes ffrom the total coktail. There seem to be problems with that posted reply sometimes is gone. This morning I reloaded the page and it was only 27 comments there. I repeated and eventually I reposted my comment as it "was gone". No it is there twice. Plesae investigate and remve the earlier one! Or is it my internet caching old versions of pages ? What to do then ? They know there is some bugs! I have pointed out that several times! while comment link: http://www.dietdoctor.com/looks-like-medical-establishment-wrong-fat/... will bring you to an imaginary place with just two random comments. Adherence to an LCD high in animal sources of protein and fat was associated with higher all‐cause and cardiovascular mortality (hazard ratios of 1.33 [95% CI: 1.06 to 1.65] for all‐cause mortality and 1.51 [95% CI: 1.09 to 2.07] for cardiovascular mortality comparing extreme quintiles). An increase in adherence to an animal‐based LCD prospectively assessed from the pre‐ to post‐MI period was associated with higher all‐cause mortality and cardiovascular mortality (hazard ratios of 1.30 [95% CI: 1.03 to 1.65] for all‐cause mortality and 1.53 [95% CI: 1.10 to 2.13] for cardiovascular mortality comparing extreme quintiles). An increase in adherence to a plant‐based LCD was not associated with lower all‐cause or cardiovascular mortality. I am obviously an exception, unless the MI arrives like heavy rain from a blue sky, the blue sky being low fasting insulin and low apo-quotient and feeling very well in my case. One problem I have with the study is that nothing of the diet is accounted for, apart from "high in animal protein and fat". Not even high how high! Even if we know a good bit more no conclusions can be drawn at all from such observation studies. Then I see that again the study is an extract from the nurses health study and I guess it would be very hard to find a single nurse in that study that actually ate a LCHF diet, 10 years ago when it was unknown! If you know otherwise please advise how many of the 2000 nurses were on strict LCHF. Atkins is not a healthy diet in my view because it has too much protein. For a few days I cut down protein (usually no excess) seriously from my own (high fat ) diet, and immediately my morning bloodsugar dropped to 5 and below! Otherwise it keeps near 6 and sometimes 6.5, except mornings after some alcohol when it falls below 5, but really for no good reasons! According to William Davis, who in part through his blog trackyourplaque,com have gained massive clinical exerience to reduce the build up of arterial plaque, the cause to heartattacks. High blood sugar was found to be a main culprit increasing plaque and low BS (below 5) reducing plaque. He measures and re-measures his patients with MRI Calcium score scan annually and have found clear indications that cutting down carbs have major benefits. Probably why he later wrote Wheat Belly. He and DietDoctor and a few more are the reasons I took up strict low carb , which worked very well for me. According to Davis I am not an exceptional anecdote as I fit the general pattern that he has found. One other final objection is that the study was made in the US and high animal fat fat and protein is there associated with fast food, which means that the ones visiting McDonalds most often probably were in the worst outcome groups. Sweet sauces, drinks and desserts are never accounted for in "red meat studies" as we know, not to mention the flour and sugar mixed in the hamburgers long before they are fried so that they keep together for long, plus of course the chips fried in omega 6 oils (high fat!) which during its continuous use in part converts to transfats. The oil is oftentimes rarely changed, New is added in and the old is absorbed by dry cut spuds. I rest my case. Do not forget that traditional Atkins is primarily used as a (very effective) weight loss diet. When losing weight, a considerable part of your energy expenditure comes from fat stores. It means that even when you incorporate 50 % protein in your diet the overall energy used might be as low as 20 % coming from protein. I just want to remind everybody about Dr. Alfred Pennington who used LC diet which was higher in protein than the one Dr. Atkins recommended in order to prevent heart attacks among fat DuPont executives.His advice for loosing weight and heart attack prevention was - each meal had to contain 2-3 oz of fat, 6-9 oz of meat, 80 calories of carbohydrates. As far as I know it worked. It looks like at the time of that diet intervention (1940-s) people had less careful attitude toward red meat. I don't want to prove any point, I just find it amusing to compare a diet advice from recent past with current point of view. Erdoke and Galina, I agree, yet only in the short term. After one or two years the dawn phenomena kicks in, which drives the blood sugar, the insulin and then the weight back up, unless calories are or proteins are restricted. But as Jimmy Moore showed protein reduction is important. Since excess protein (longterm ) becomes raw material for excess blood sugar production, the cycle can easily be halted by measuring morning sugar and cut down the piece of meat at dinner until BS is under 5 in the morning. Then the visceral fat will start to burn as fuel as soon as required as the insulin level drops. Spin off is improved cardiovascular health through reduced arterial plaque making the exercise most worthwhile!. I am tired of vegetarian liars. In that study the intake of carbs changed from 64.1% in the first quintile to 41.1% in the fifth. No low-carb diet there. Wade, why do you lie? Eat what you like, but please stop lying. Tanks for digging up and putting things straight! Please also post the link to the full study! Low fat diet didn't work for the President Eisenhower who suffered a first heart attack at age 64. He was put on a highly publicized low fat, low cholesterol diet. Over the next six weeks, twice daily press conferences were held on the president's condition. His total cholesterol at the time of the attack was 165 ml/dl. Eisenhower was ordered to eat dry toast and Sanka for breakfast and eat only 1 egg per week. His cholesterol continued to climb on a low fat, low cholesterol diet until it reached 259 the day he left office. Eisenhower had several more heart attacks and eventually died of heart disease. Well, the question we are facing now is not whether they were right or wrong. The question is whether these so called "experts" are going to be stripped of their degrees, fined for false medical practices and even tried in the court of law if their "advice" led to medical and physical demise and death? Right on Prom, Treat them for what they are: quacks. Quacks causing deaths, lots of deaths. What's the punishment for that? We need to go to Japan or China to see officials or responsibles be punished for offensenses against all people, the most serious crime there I guess! Usually just buried over here ! But the real perpetratars (follow the money) must be the vegetable oil industry that seemingly was main force behind pushing Ancel Keynes into the limelight. Keynes made his first "big sales" , the "design" of the US emergency ration for soldiers during ww2, based on margarine, and hated by soldiers; probably packed with long lasting heart-lethal transfats, the stuff that make biscuits lasts forever. That's the backdrop: A financially huge corporation, consequently with serious influences in the prevalent media (I forget the name of the guy !) set up the whole "sat fat scare" thing, Possibly just as they feared that the exploding margarine sales during Word war II was going to be blamed for the exploding heart disease rates just after the war. They found the scape goat, sat fat, but could do even better. The paid for propaganda dressed up as research succeeded better than they ever had hoped for, resulting in continued accelerating heart disease rates only parallelled by vegetable oil (and sugar) sales increase. Unilever or Lever Brothers were and are the ones producing the transfats, and when/if it is found they knew the dangers years before the rest of us did , they could well go down in history as the worse mass murderers ever known. Jesus, another Walter Willet special in all its retrospective confounded multiple testing glory. Yes, FFQ'S filled out by mainstream US nurses eating at least 41pct carbohydrate since 1976 are guaranteed to give us some real penetrating insights into the scary health effects of non-vegan LCHF. None of the nurses was actually eating such a diet, of course, but I'm sure Willet "controlled for that" with his multivariate wizardry, just like he does with every other factor. Where'd you go, wade? Oh men, why are you upset so much. Let the dorks extinct. See these clowns don't even question why human body stores extra energy in fat. For thinking people it is obvious that fat is a preferred form of food for a human body. Second if all, their brain is effected by sugar, the same way it is effected by drugs and you are trying to employ logic and common sense with drug addicts. Just keep posting good materials and disregard these losers. Let them follow the path of demise. I was reading somewhere that vegetarians die more often from cardio-vascular diseases. Makes perfect sense to me. Then I started following celebrities with brain degenerative diseases. Proud vegetarians. Well, let them be proud vegetarians. @Galina. Related to Eisenhower. These elites fall victims of their own brainwashing. Eisenhower is not alone. Look at Steve Jobs. See, some Joe Schmo would have fixed it with a tank of oxygen and baking soda, by high profile elitist fell victim of its own control system, and he like nobody else knew of a control grid that was put in personal spying devices his company manufactured, some people call them iPhones. Here another study showing animal fat as king. Although probably the worlds largest observation study, there could be more than the high fat diet as an observational study. Only one thing is for sure after that: vegetarianism did not protect from heart disease. But lots of fat could protect. I saw first ref. to the study in the excellent 2014 book "A big fat surprise". For six years Indian researcher Malhotra registered how many died from heart attacks among more than one million employees of the Indian railways. Malhorta was chief medical officer in the Indian railways and in the 1960 he tested the fat heart disease hypothesis formulated by Keys. He gathered data from his about one million railway workers, hence a massive study. But the result did not match Ancel Key's, au contraire. According to Malhotra's report employees who lived in Madras - way south- had the highest mortality. It was six to seven times higher than in Punjab, the district with the lowest mortality. And lifespan for these near vegetarian workers was 12 years shorter than for the butter, cheese and meat eaters in the North. People in Punjab ate almost seventeen times more fat than people from Madras, most of it animal fats. In addition they smoked much more, which in the end stands out as a minor risk factor compared to the vegetarian diet. The fat the Madras workers ate was Similar to peanut oil, ground nut oil. 30% polyunsaturated, the best you can get according to Key's and USDA. So a very bad day for low fat, made good by as few references as possible to the study! Key's data, especially from Greece that became the kingpin for his mediterranean diet was also seriously flawed, well argued in the book above. So many people have been asking me lately about saturated fat. Low fat was such a con. I've been reading Dr Joseph Mercola's web site lately. He has some really good information over there. The link is on my saturated fat article http://bit.ly/1UJUCMX My web site is at http://www.lowcarborama.com The more people know about low carb high fat the better!! Bring on the LCHF revolution!